Study period was from October 18, 2012 to November 11, 2012. For data collection, one subject was targeted in a day. Continuous recording sampling method was adopted. Rare or unusual events were recorded ad libitum. Photo andvideo camera was equipped for supplementation and for a further analysis. During the period, I observed several behavioral repertoires of chimpanzees living in their natural habitat. 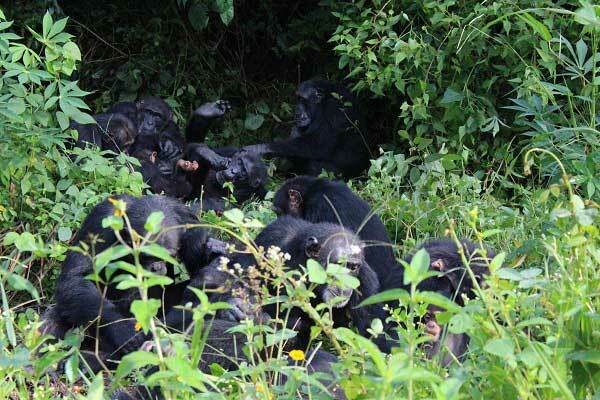 Twelve chimpanzee individuals were identifiedat Bossou community. 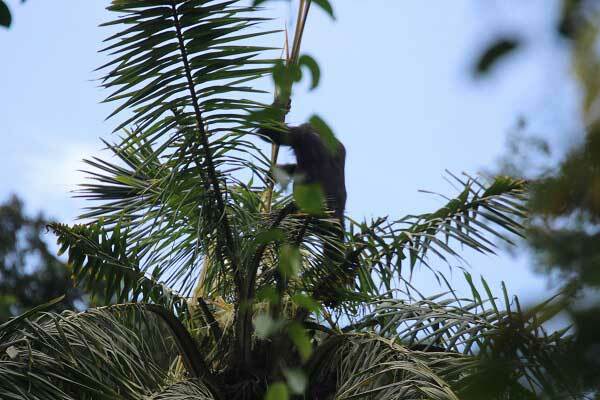 While following the chimpanzees, free foraging behavior was mostly observed. Since natural fruit was not enough for chimpanzees at thattime, it seemed the chimpanzees were highly depending on high energy fruit of cultivated fields. Several interesting social behaviors were also observed: 1)gregarious grooming for an hour by all the members of Bossou community, 2) reassurance behavior between adult one male and female, and 3) group cooperation while crossing risky roads. Lastly, an interaction with wildlife bird was observed opportunistically. An hour of gregarious grooming by all the members at Bossou community.